At long last Joanna Bennett is returning to her family’s island, the childhood home that her heart has yearned for ever since she was forced to the mainland by catastrophe. At her side stands Nils Sorensen, her oldest friend, stalwart admirer, and new husband. Together they will restore Bennett’s Island to its former glory: enticing former residents and other hardworking mainlanders to join their small community, repairing damaged buildings pummeled by the elements during five years of abandonment, and reclaiming the lobstering territory that was once the sole province of islanders but has been overrun by the nearby Brigporters. All the while, Joanna and Nils are setting the foundation of their future, one that will surely be stormy if Joanna tries to apply the rules of her previous marriage to her relationship with Nils. Joanna Bennett will always be a strong and fiercely independent woman, but without learning to trust and be vulnerable in her marriage, she will find herself proud and alone. 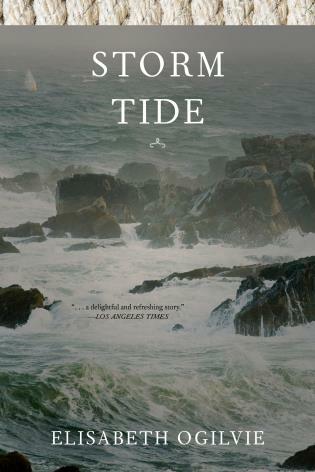 This story, the second book in Elisabeth Ogilvie’s beloved Tide Trilogy, transports readers to the beautiful and rugged Maine coast, where families must eke their livelihoods from the tempestuous ocean but in return they’re afforded the daily splendor and simple pleasures of island life.